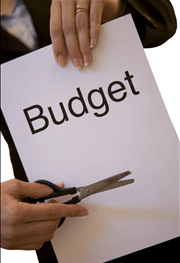 Are Technical Writing Programs in Danger from Budget Cuts? Writing Assistance, Inc.
“The technical writing program at De Anza College is a program that teaches people skills that businesses are looking for,” according to a recent article. While this might not seem like a big news story, or even something you should worry about in the technical writing market, it should serve as a warning. Technical writing courses are in high demand today, due to the rise in the need for technical documentation and medical technical writing. But since education still has troubles getting the funding it needs, programs get cut – like the one at De Anza College. Simply a matter of budget cuts, it seems that this type of writing isn’t as valued as other programs at the school, which can hurt the current student population. The future business leaders of the world will need to have some sort of background in technical writing. They need to be trained in how to create strong documents, or at least how to guide others to accomplish this sort of task for them. Without technical writing programs, there is a strong possibility that those who have gotten the training will be in high demand, but then others will need to learn on the job. While this might sound like a public service announcement of sorts, the possibility of technical writing programs in decline is a reality which could eventually impact users and readers. What are your thoughts? Are educational programs in technical writing in danger of budget cuts? Leave a comment. I’m a tech writer with nearly three decades of experience and a new bachelor’s degree in Communication. My university does not see this need either because, with a student body of over 33,000 and a history of teaching vocational skills, the school has no tech communication major. I’ve looked at a lot of tech comm job descriptions in the last few weeks. Today’s writers are expected to be graphics artists, writers, communications experts, user-experience designers, and much, much more. The answer is not to cut programs but to meet market demand. If universities and colleges cannot see the need and potential for tech communication, entrepreneurs will arise to teach the skills needed. I think it would be easier to create a business to teach tech comm than to convince universities to institute or improve existing programs. I’d like to know what others think.